Brisbane Bullion presents the 1oz Kangaroo Silver Coin (2017) by the Perth Mint in a tray of 100 coins. The Australian Kangaroo Silver Coin (2017) (alongside the Canadian Maple Silver Coin) stands apart from other silver bullion coins with a greater purity of .9999 fine silver, compared to 999 silver. 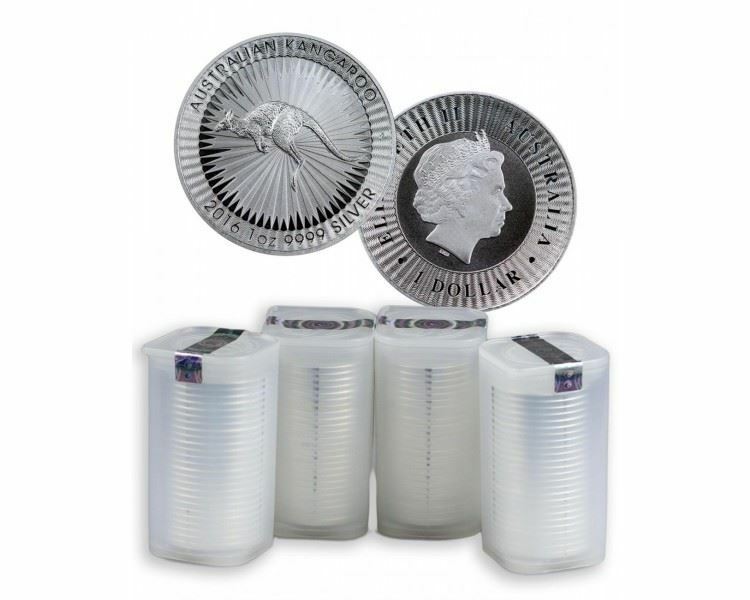 Brisbane Bullion offers this bulk deal of 100 coins in a tray for the serious bullion investor. Australia’s flagship silver coin, the Kangaroo is also available individually and in a roll of 25 coins and mini monster box of 250 coins. Buy the 1oz Kangaroo Silver Coin today in a bulk 100 coin tray at its lowest price in Brisbane from your local gold and silver bullion dealer – Brisbane Bullion!